Unfortunately for us and visitors to Italy and Tuscany, fall and winter is when Italian unions decide to show their strength and political clout by announcing general strikes that paralyze the country. These impact all sectors of transport: the airports, ferries, trains and buses. Fortunately, the “hot” days are not that many; we’re sharing what has been communicated so far so that you can check whether it affects your travel days and thus plan accordingly around them. The first one has been called for October 24th, as a general strike involving all public and private transport. The second one falls between November 14-15th and will involve airlines, trains and maritime transports. Here’s a bit more details on the days of strikes. The first one coming up is on Sunday October 19th – this will be a strike by airline pilots from the New Livingston company. The strike begins at 12pm and ends at 4pm. Friday, October 24th: this is a general strike called by 3 independent unions (OR.SA, UNICOBAS and USB) and will involve airlines, trains, commercial and maritime transport as well as local buses. Trains will stop for 8 hours, from 9:01am through 4:59pm. Employees from the NTV (Italo trains), Trenord, FSI and Trenitalia groups will take part in the strike, practically meaning all national trains will not run. The strike for commercial transport on trains will last 24 hours, with some differences based on region. 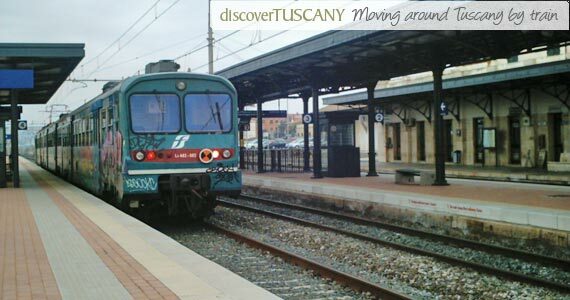 For trains, there are some “guaranteed” runs – you will have to check www.trenitalia.com for details as they vary by region. Maritime transport, including ferries, to the islands will vary – check the relative websites for details closer to the date. Employees of ANAS will also strike from 6am of October 24th to 6am of the 25th. Local bus companies in Tuscany: each one will have information on the hours the day before and of, with time periods where service is still offered (to help people get to work and back home). There are generally some hours that are “guaranteed” to let people get to work where some buses run, but otherwise expect most everything to stop in the off hours. Wednesday, October 29: planes from the Alitalia-Cai group will be affected. The strike is for 4 hours, from 12pm to 4pm. ANAS for 24 hours – again, from 6am from the Friday through 6am of Saturday, November 15. Local bus companies – as above. This national website has more information on strikes: http://www.mit.gov.it/mit/site.php?p=scioperi but it is only in Italian and a bit hard to read. I will try to update the list above as more details are added on that page. Arm yourself with a lot of patience if your travel plans coincide with these days – and if possible, do try to stay in one spot on that specific day to avoid being affected too much by the strikes.